We revisit how to pitch Valentine’s Day Gift Guides during this TuneUp, with guidance for Product based businesses, as well as a few tips for Services and Experts. 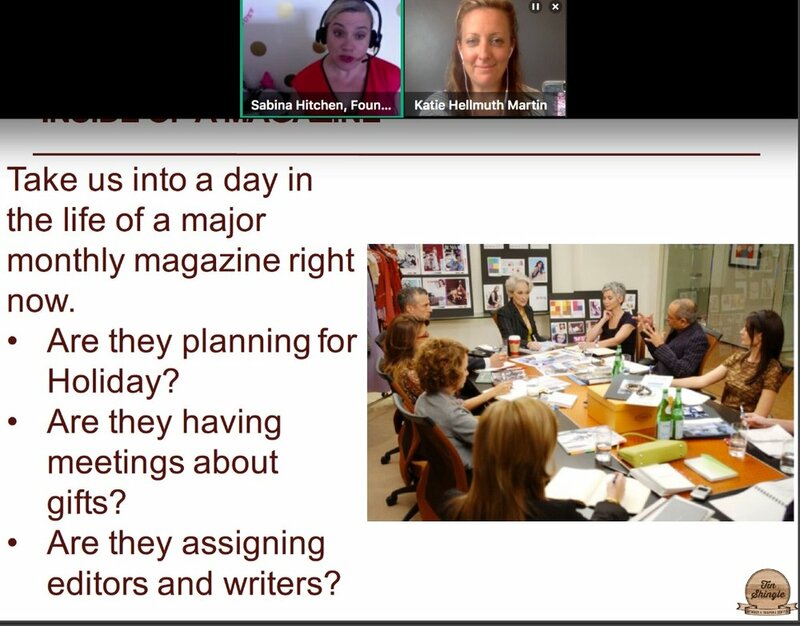 Publicity in a magazine's Holiday Gift Guide is one of the meccas of PR for most businesses. How do the magazines find all of those amazing products to recommend to you? We'll tell you the secret...are you ready? Business owners just like you emailed an editor about their amazing products - that's how! And now you're going to learn how to do it, too. Here's your first hint at this Holiday Gift Guide mystery: the magazines are actually putting them together in July. That's right - in the most boiling hot time of summer. You might have been pool-side all this time, but this year, you're going to be carving out time to be at your computer, researching which media contact is the best fit, and then writing that email to email it in. PS: Tin Shingle collates a database of Media Contacts for our All Access Pass members to search through at any time. So when you're ready, check them out. They will save you time in your research. This Training TuneUp will show and tell you the ways of how Holiday Gift Guides work in magazines and on TV for the local stations. We teamed up with Sabina Hitchen, founder of Press For Success and a certified educator. She is a former high school teacher turned PR agency owner who now dedicates her gift for teaching to small business owners through her PR Prep School. In this TuneUp, your host and owner of Tin Shingle, Katie Hellmuth Martin, interviews Sabina for all of the juicy details of how to get your business featured in the end of the year holiday gift guides. Here's a little taste of what you're going to see during this class, the Training TuneUp.